WASHINGTON (AP) - Republicans hate "Obamacare," so House GOP leaders freak out whenever their health care bill is compared to President Barack Obama's law. But one reason some conservatives are branding the bill "Obamacare Lite" comes down to the tax credits to help consumers buy insurance. Both tax credits target people who don't get health insurance from their employer or from the government. They are both available to people even if they don't make enough money to owe any federal income tax. And they are both entitlement programs - if you meet the criteria, you are entitled to the benefit. But there are significant differences in the size and reach of the tax credits. The Obamacare tax credits are designed to limit the share of income that people have to spend on health insurance. The GOP tax credits are simpler, but consumers might still have to pay a large share of their income to obtain health insurance. "These credits have long been part of the conservative health care reform ideal, supported by arch-conservatives in Congress as well as right-leaning think tanks going back for decades," according to a release from House Speaker Paul Ryan, R-Wis. Some Republicans aren't buying it. 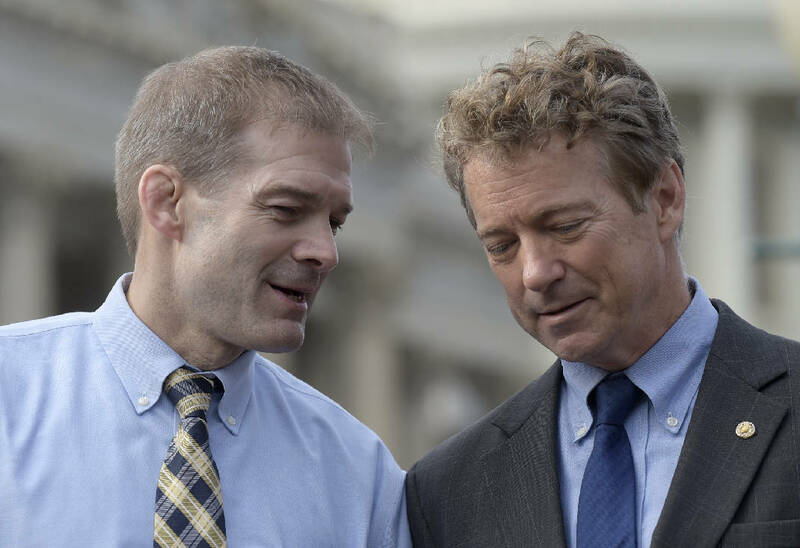 "I think it's Obamacare in a different form," said Rep. Jim Jordan, R-Ohio. "Let's do what we told the voters we were going to do. ... Clean repeal." The tax credits in the Affordable Care Act are based on income and the cost of insurance premiums in a state marketplace. In general, the lower an individual's income the larger the tax credit. Also, the more expensive the premium, the larger the credit. - You're 30 years old and single, making $23,000 a year. The average benchmark premium for a 30-year-old is $3,844 a year, according to the nonpartisan Kaiser Family Foundation. Your Obamacare tax credit would be $2,426. You would pay $118 a month in premiums, or $1,418 for the year. - You're 60 years old and single, making $23,000. The average benchmark premium for a 60-year-old is $9,191 a year. Your Obamacare tax credit would be $7,773. You, too, would pay $118 a month in premiums. Obamacare also provides subsidies that can reduce out-of-pocket expenses such as annual deductibles and copayments. Obamacare tax credits are available to people making as much as 400 percent of the poverty level. For an individual, that's $46,680. For a family of two, that's $62,920, and for a family of four, it's $95,400. The credits range from $2,000 to $4,000 depending on age. Older consumers get larger credits. The tax credits are capped at $14,000 for a family. Income is not a factor in the size of the tax credit, though they are phased out for individuals making more than $75,000 and for married couples making more than $150,000. Using the previous examples: the 30-year-old making $23,000 would be eligible for a $2,500 tax credit - slightly more than under Obamacare. That would lower the cost of the annual premium to $1,344. Also, lower premiums could be available for younger people under the Republican plan because it makes changes in current insurance rules that favor older customers. The 60-year-old making $23,000 would get a $4,000 credit - less than under Obamacare. That would increase the annual premium to $5,191. Also, premiums could go up for older adults because the GOP bill allows insurers to charge more as people age and become more susceptible to health problems. Under the GOP plan, a 60-year-old making $70,000 would still get a $4,000 credit. Under Obamacare, this person is not eligible for a tax credit because they make too much money.